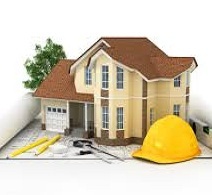 We are a service company based in Navi Mumbai and specialise in the repairs of active leaks and seepages from cracks, fissures and other defects in concrete structures like Terrace Slabs, Podium-built Car Parks, Swimming Pools and Gardens, Terrace Water Tanks, Sump Tanks, Basements, Heritage Structures, etc. 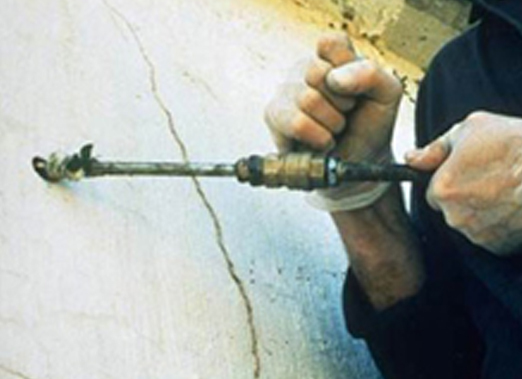 by using the specialized technique of Polyurethane and Epoxy Resin Injection Grouting. 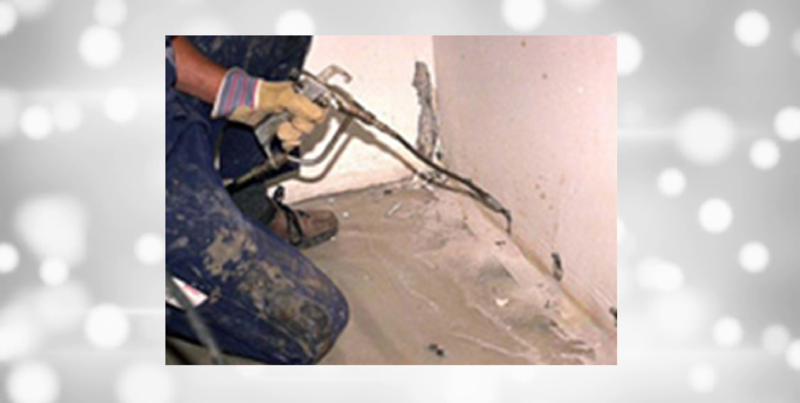 Presently, we service the areas within Mumbai, Navi Mumbai, Thane District and Goa. 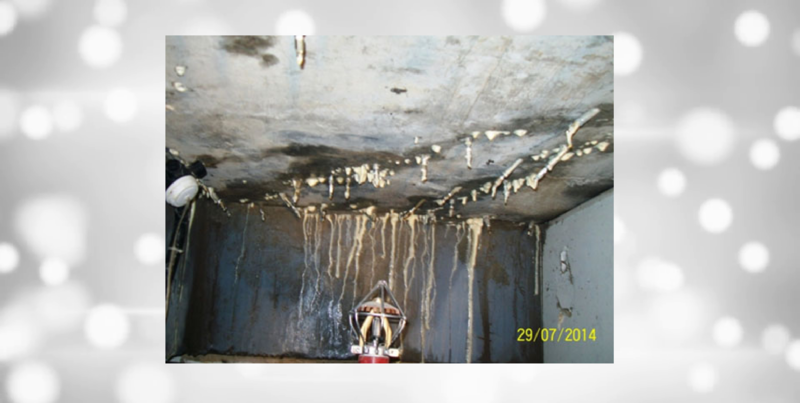 Dripping Leakages from Terrace Slabs/Brickbat Layers, Swimming Pools, RCC Water Tanks & Side Walls, Upper Floor bathrooms,Basements,Elevator Pits,Machine Foundations,Cooling Tower Basins, Construction/Expansion Joints, Pipe Penetrations. 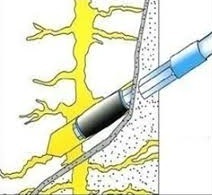 Polyurethane Injection grouting is a technique that involves the injection of expanding polyurethane to cut-off water flow through concrete joints or cracks or to fill voids under slabs or behind concrete walls. 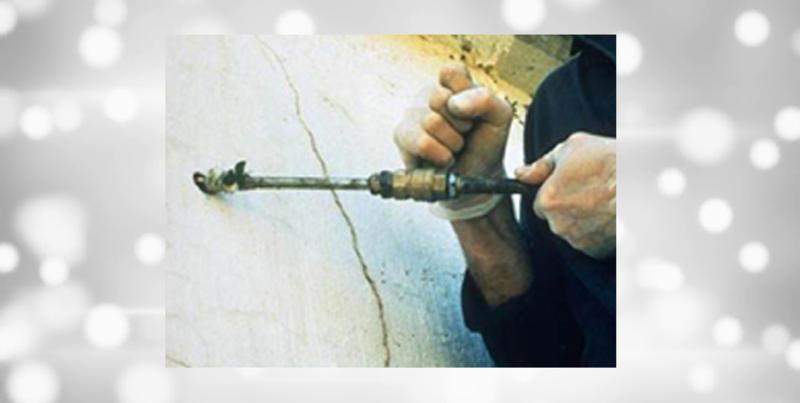 The grout is injected under low/high pressure through a pre-drilled hole. 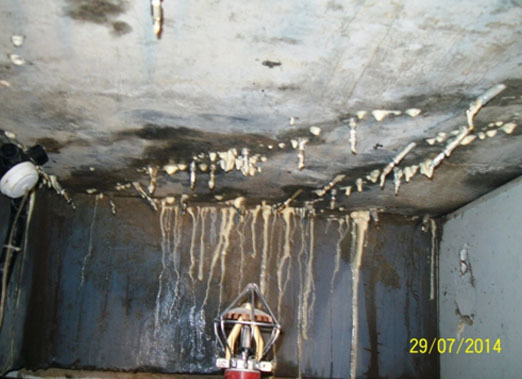 Rising damp in buildings may be defined as the vertical flow of water up through a permeable wall structure, the water being derived from ground water. 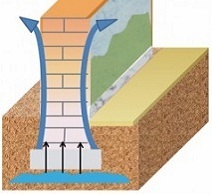 The water rises through the pores (capillaries) in the masonry by a process termed ‘capillarity’.In other words the masonry acts like a wick.